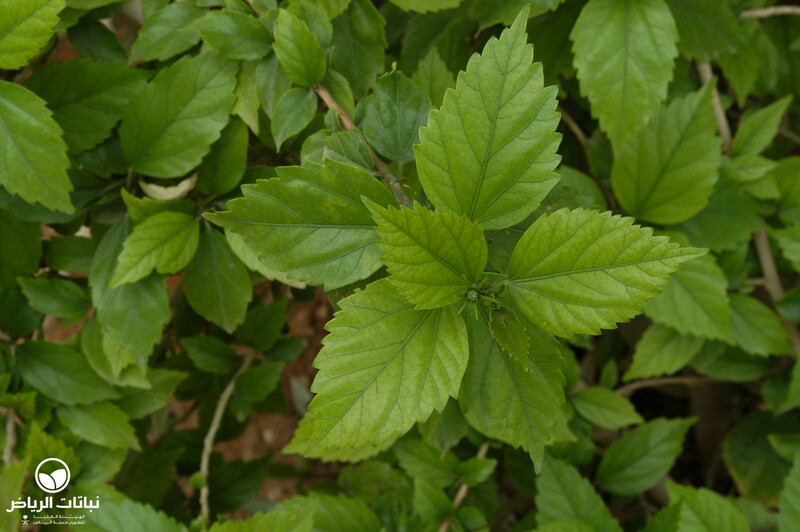 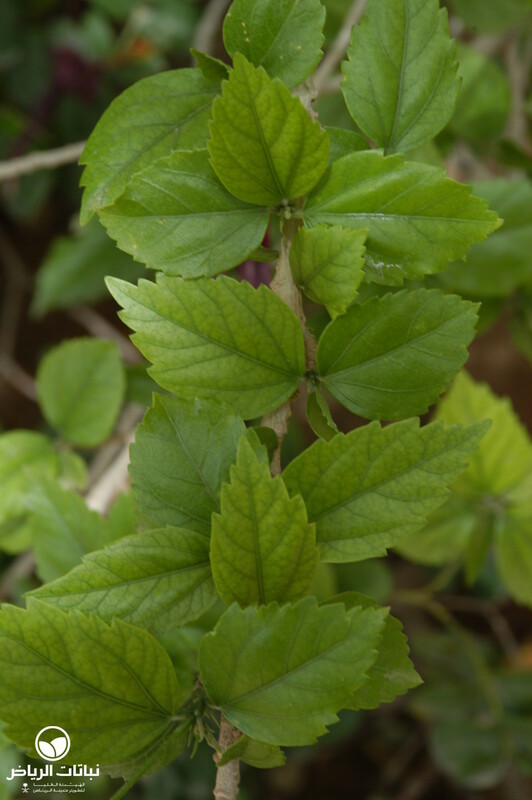 Since it is no longer found in the wild, the origin of this plant is uncertain, although sinensis indicates a Chinese background. 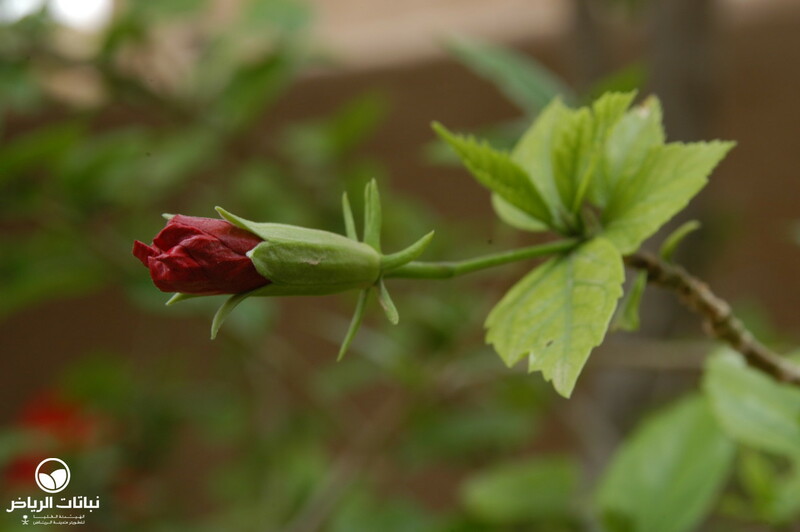 This was once a very common shrub in Arriyadh, but its susceptibility to frost, disease and insects seems to have made it rare. 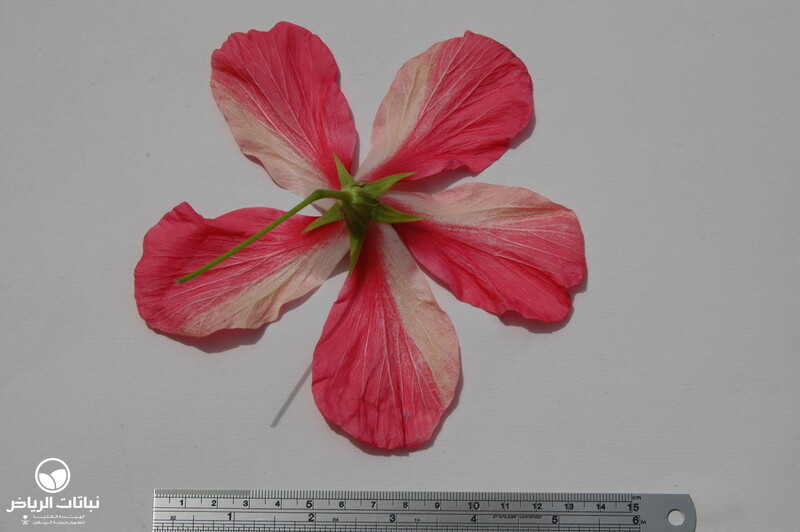 Various cultivars exist, with single or double flowers in shades of white, yellow, pink, orange and red. 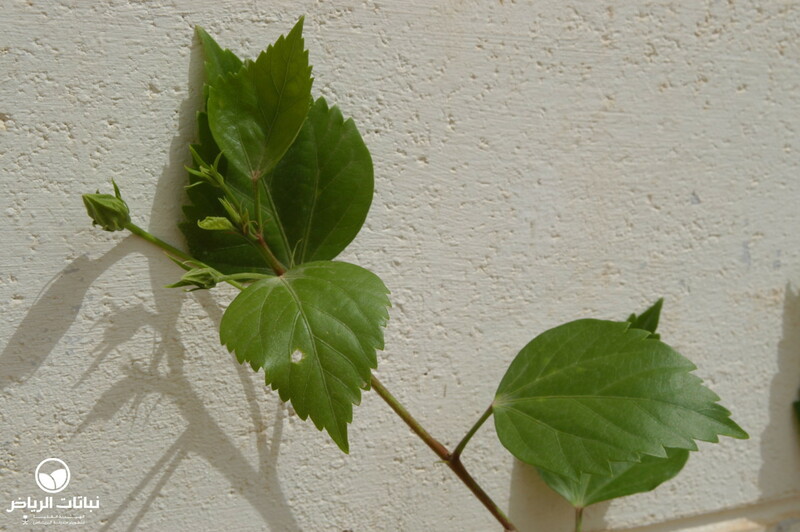 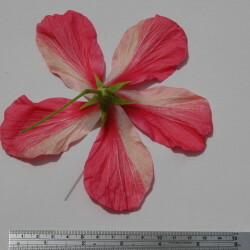 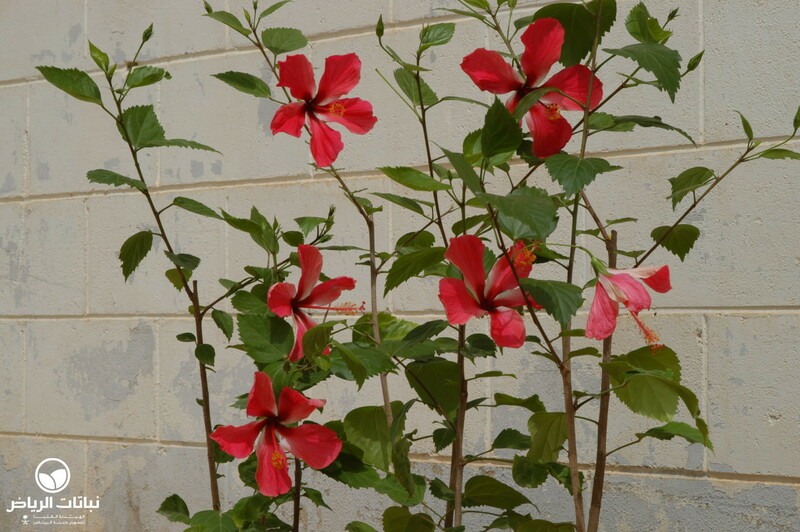 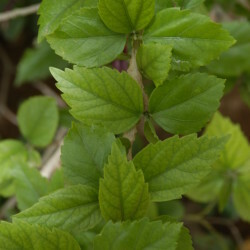 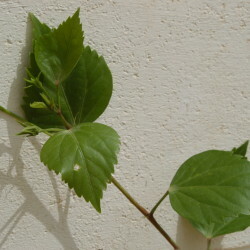 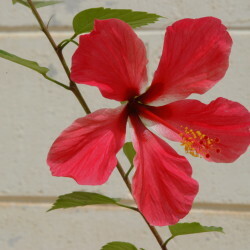 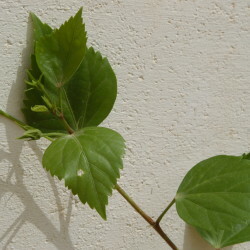 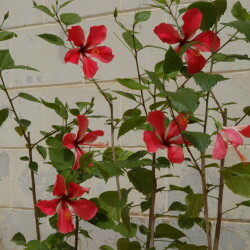 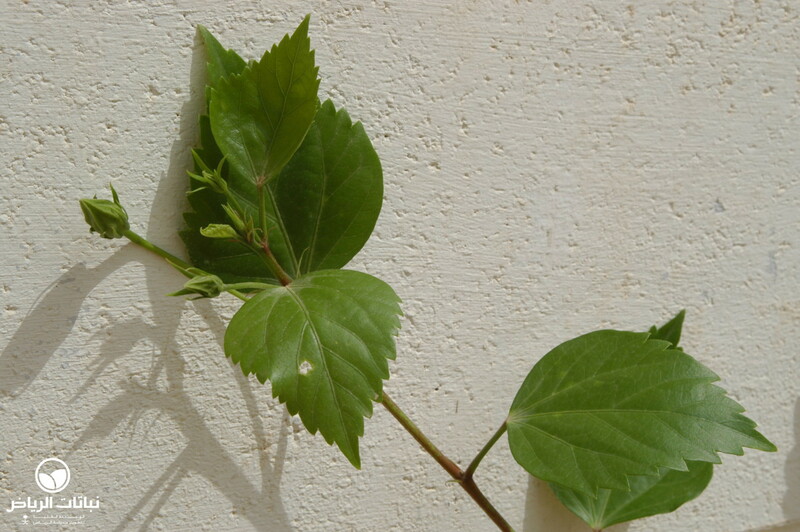 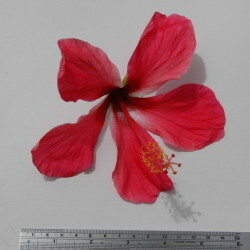 It is very easy to multiply Chinese Hibiscus by hardwood cuttings of 20 cm in length when the leaves are reduced to a third and the sticks are covered to retain humidity. 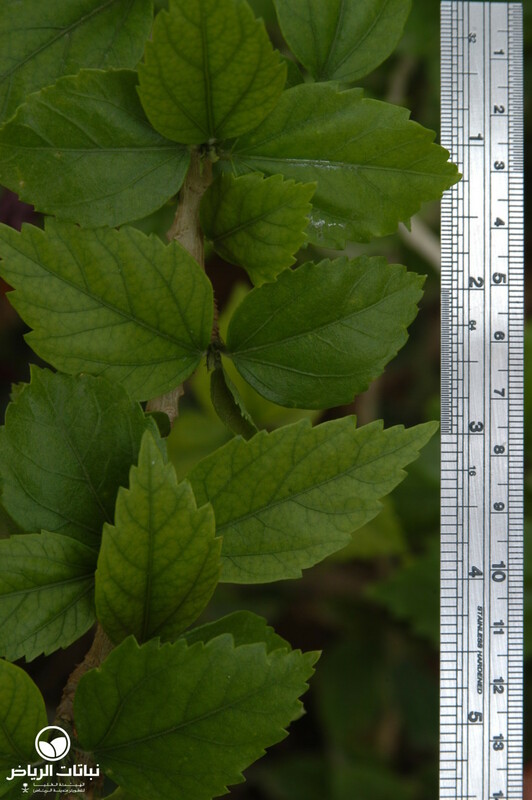 Brief periods of frost may damage the twigs, but the bushes quickly recover and also flower within the same year. 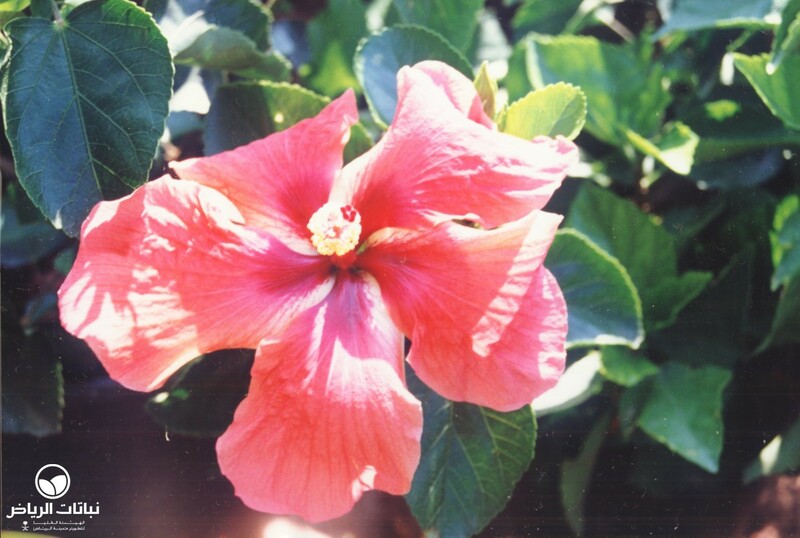 Annual cutting back, exhaust fumes and considerable dryness are tolerated, but they may result in slow growth and a reduction of flowering. 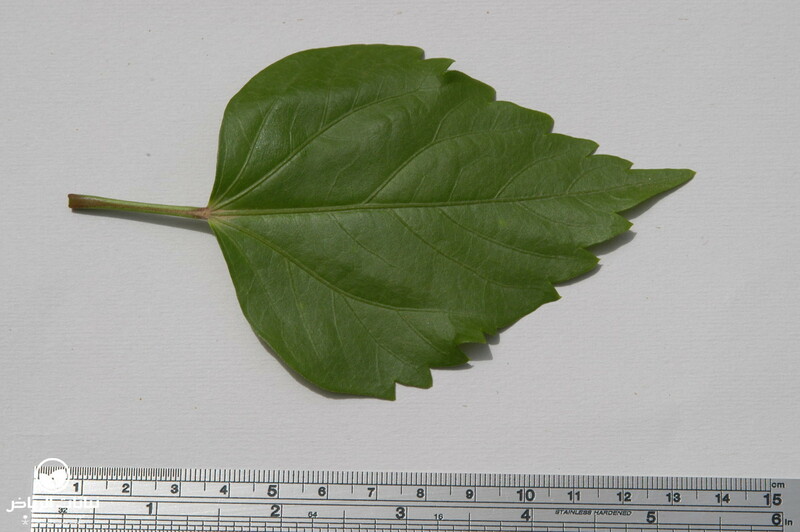 Even some salinity is tolerated, but the leaves show chlorosis and may even be dropped. 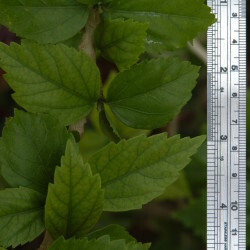 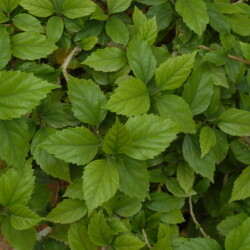 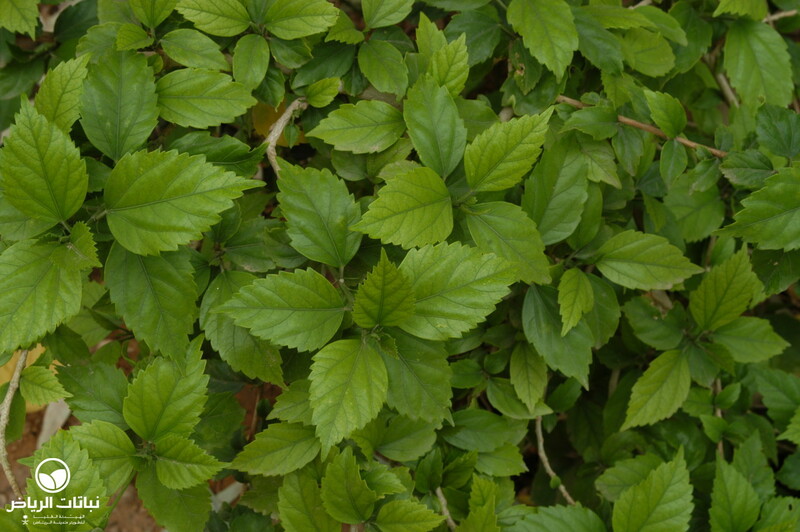 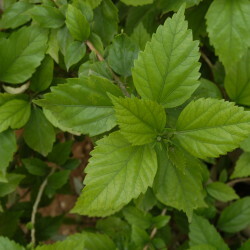 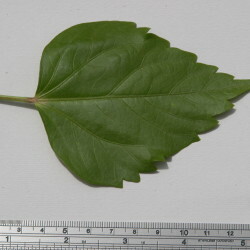 This species is usually evergreen and produces dark-green, shiny foliage. 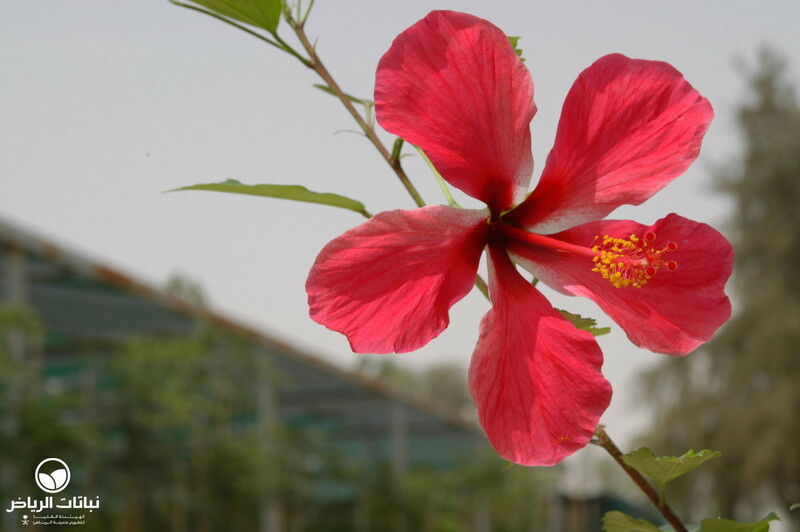 In its native habitat, Chinese Hibiscus flowers all year round. 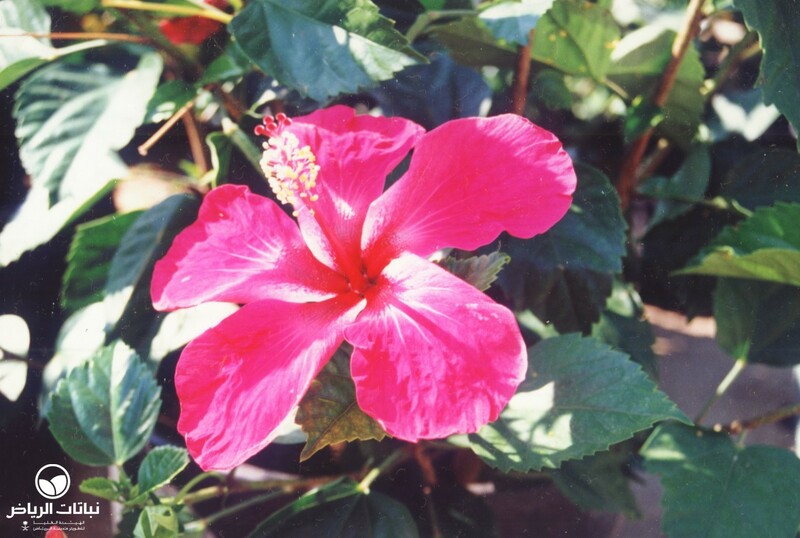 Elsewhere, flowers are produced when temperatures exceed 18°C. 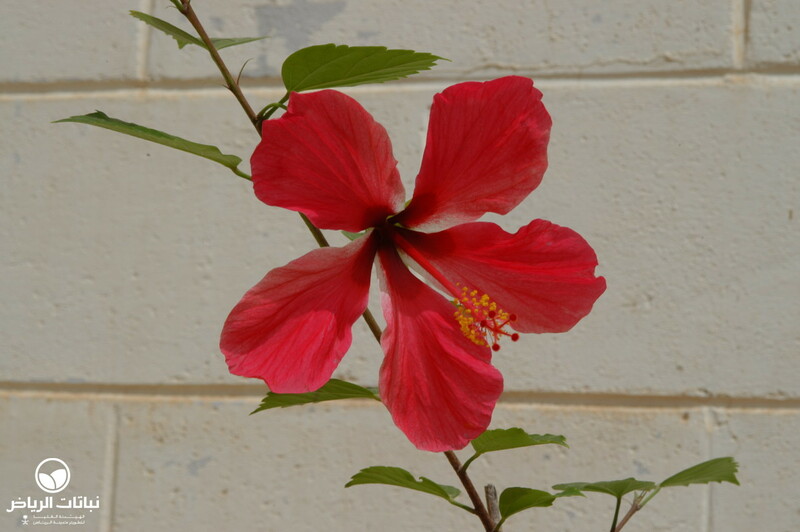 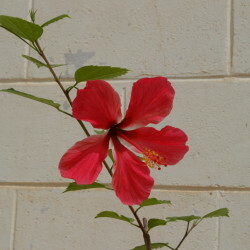 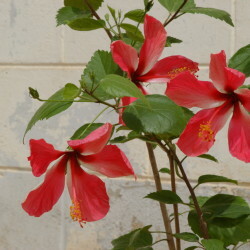 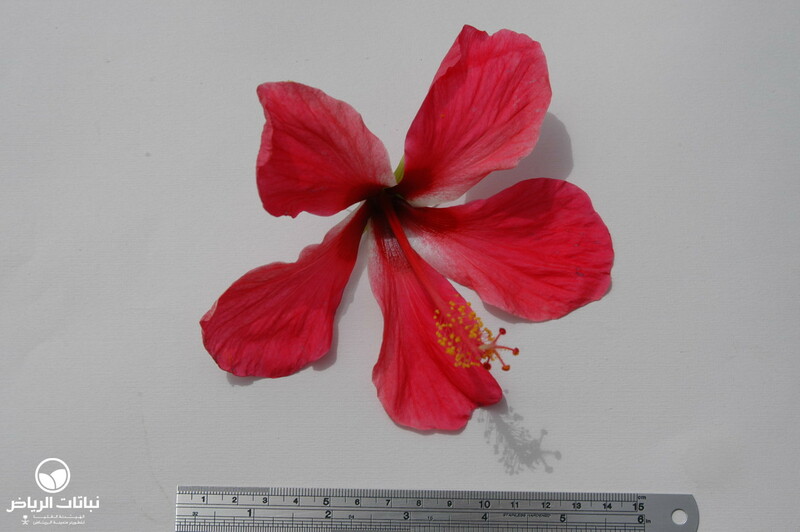 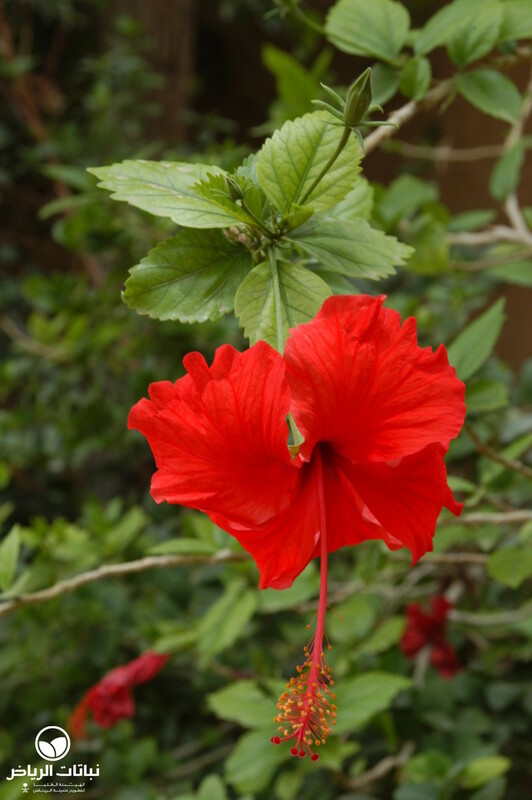 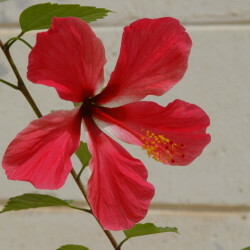 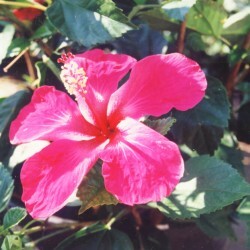 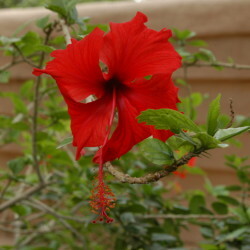 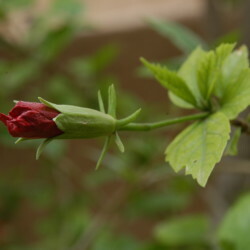 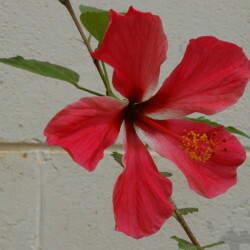 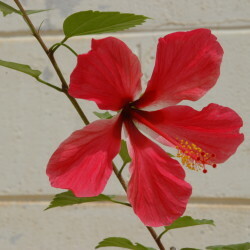 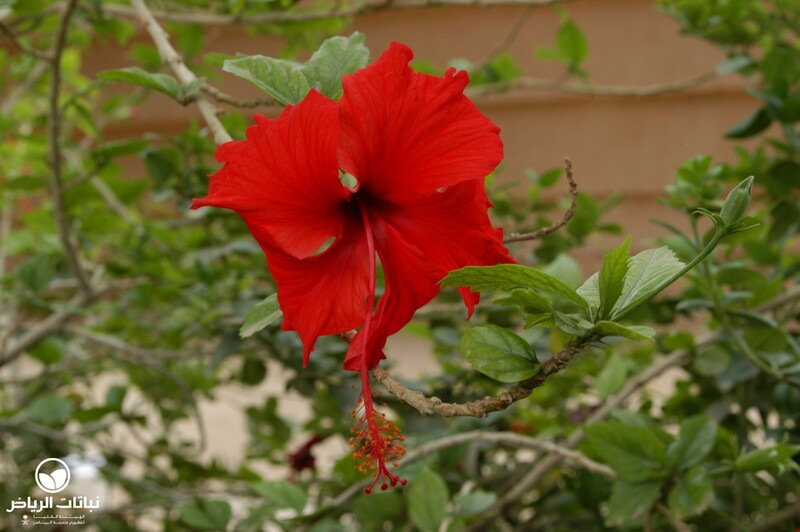 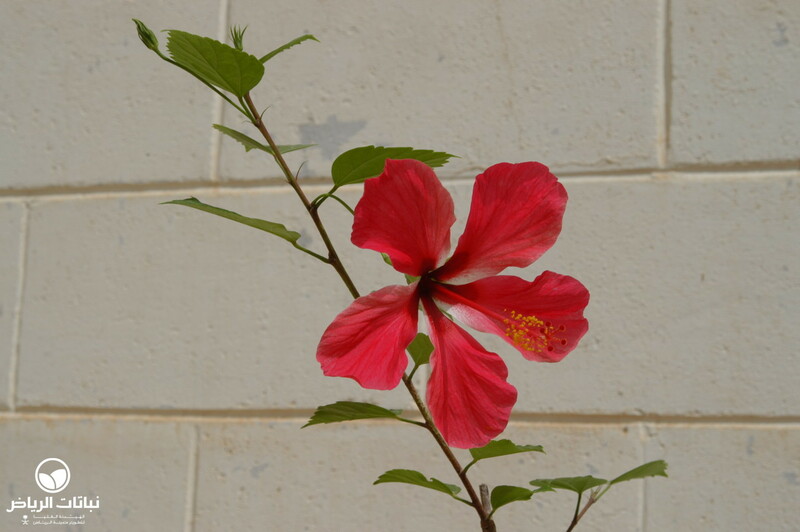 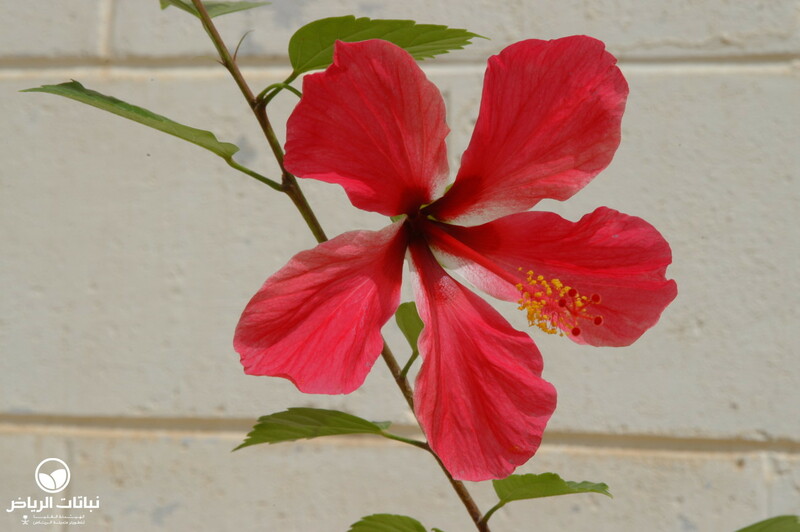 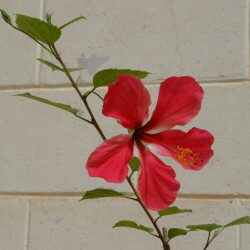 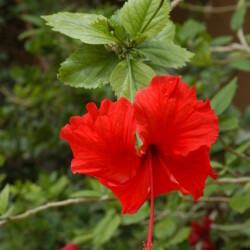 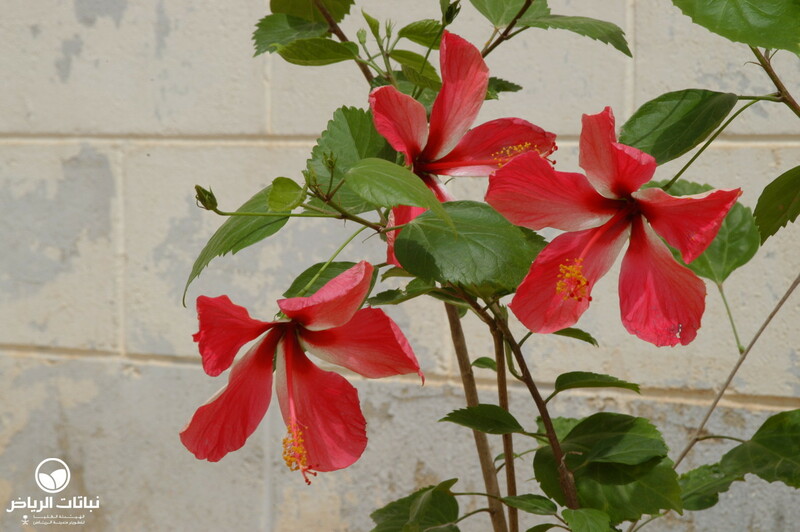 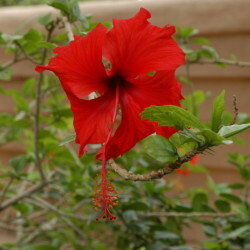 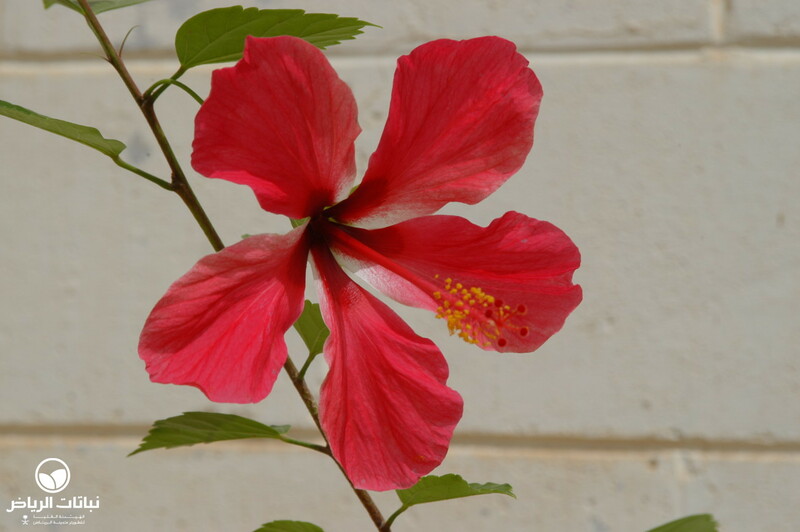 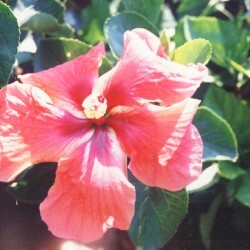 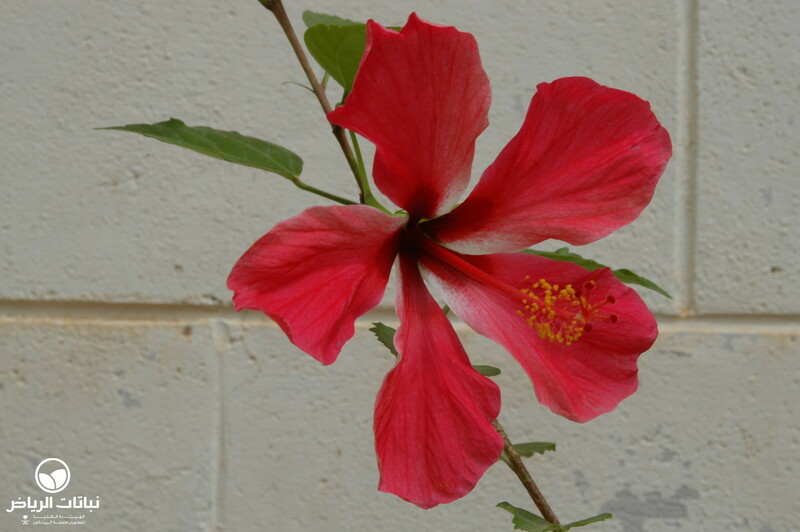 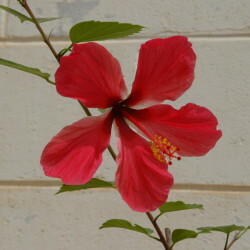 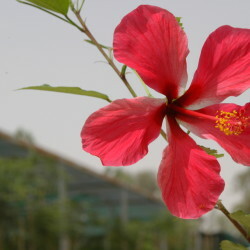 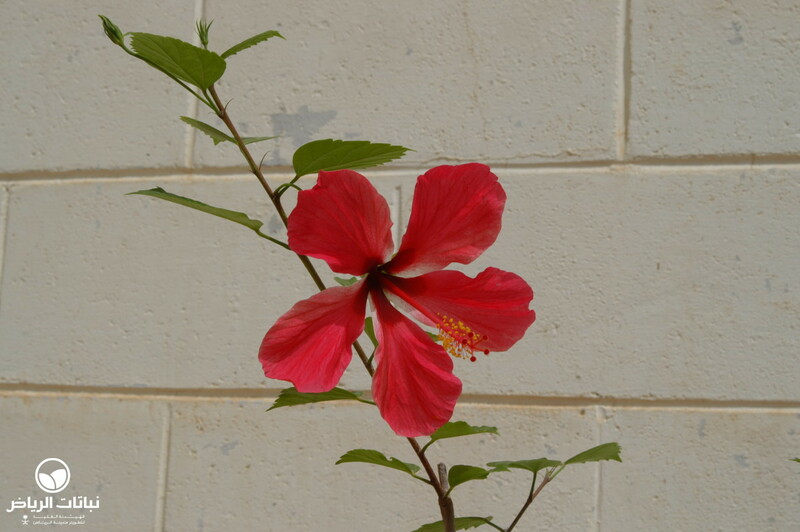 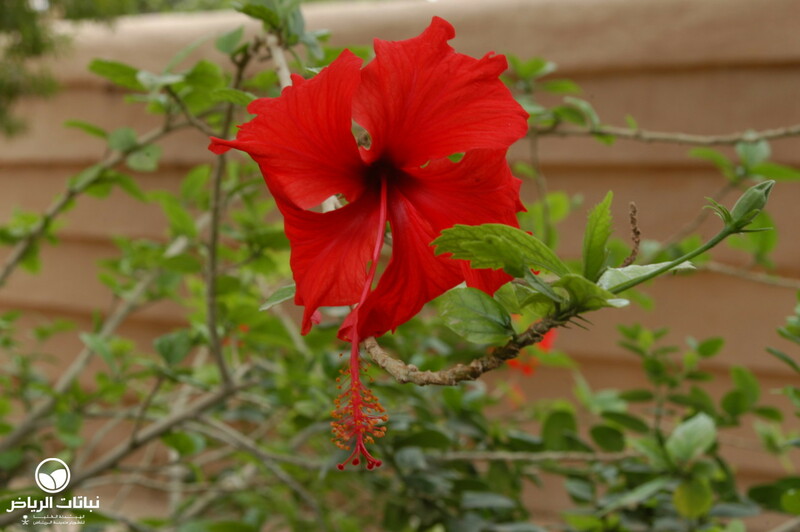 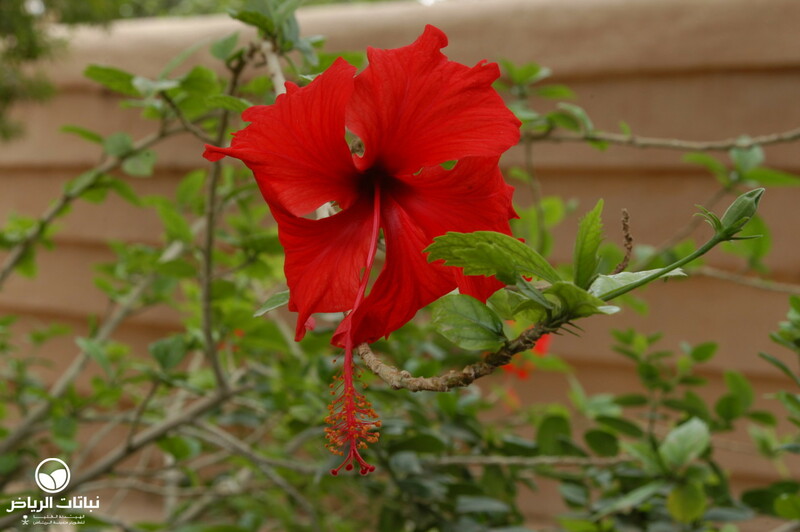 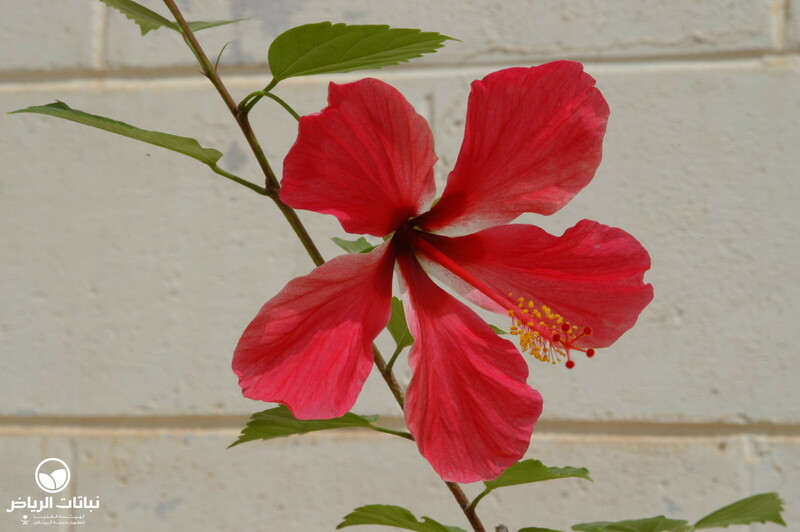 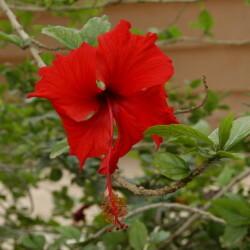 Above 25°C, the flowering is reduced, so that Chinese Hibiscus in Arriyadh flowers in spring and in autumn, but rarely in summer. 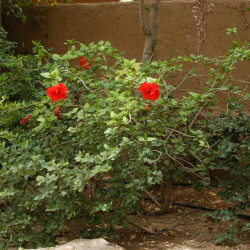 In dry areas, the plants appreciate an occasional spray with the garden hose. 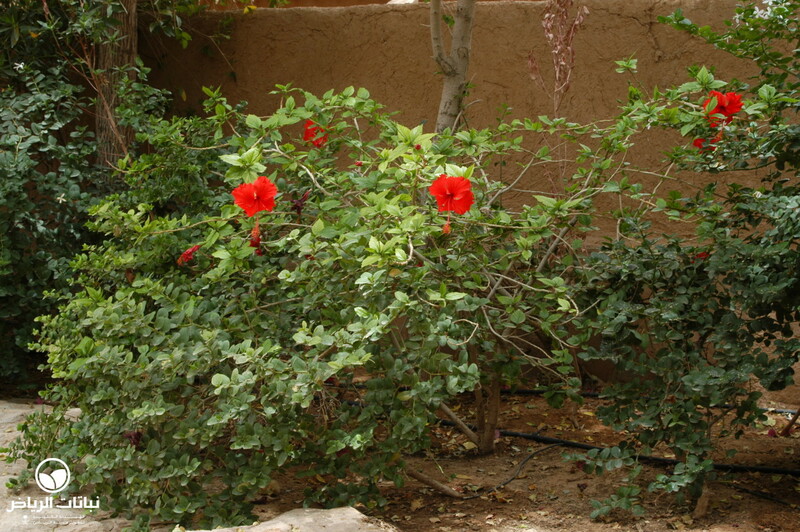 Fertiliser should be applied frequently to encourage a prolonged period of blossom. 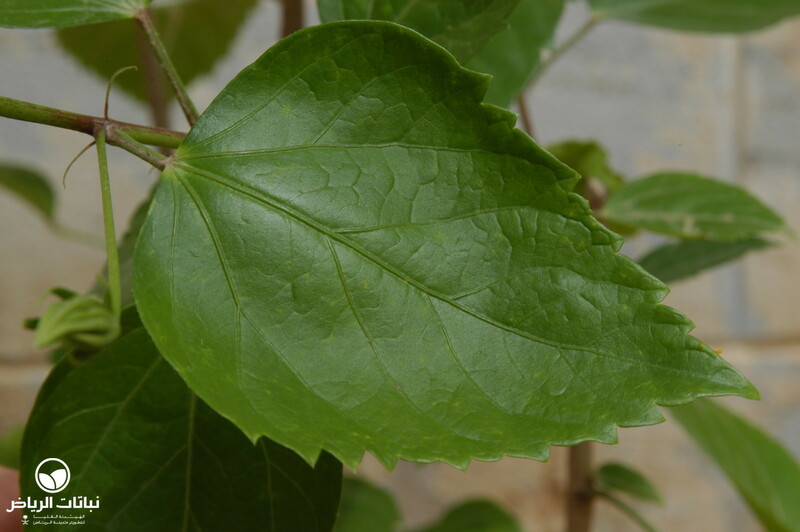 When the leaves turn yellow between the veins, iron chelate is the appropriate remedy. 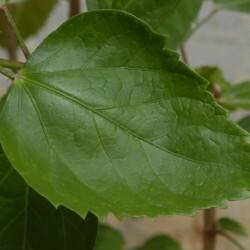 Usually this chlorosis appears where the ground is alkaline and lacks humus.